A card game where teams of players compete to identify how people, places, and things (resources) fit into systems. This is followed by an interactive exercise in which youth systematically brainstorm the important resources in their community. 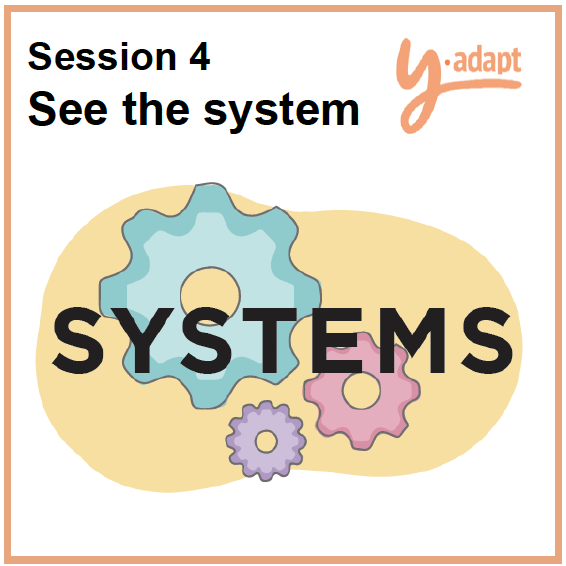 Y-Adapt is a curriculum for young people that helps them to both understand climate change and to take practical action to adapt to the changing climate in their community. Atlantis youth camp 2018; Y-Adapt! A space for 'Atlantis Youth Camp 2018' participants to connect, share ideas and ask questions in preparation for Y-Adapt 2019. An introduction to Y-Adapt ending in a creative competition where teams present real-life examples of youth-led adaptations from around the world.